The Buzzer blog » Investment plan for Phase 2 of the 10-Year Vision approved! Investment plan for Phase 2 of the 10-Year Vision approved! Exciting news for everyone in Metro Vancouver! 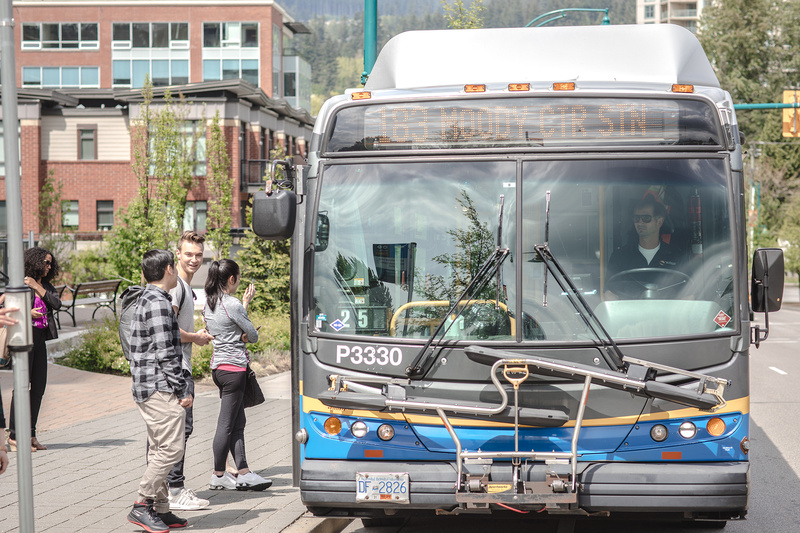 The Mayors’ Council on Regional Transportation and the TransLink Board of Directors have approved the investment plan for Phase Two of the 10-Year Vision. This sets the stage for unprecedented increases to transit services beginning in 2019. The investment, which totals $7.3 billion, is the largest in transit and transportation in Metro Vancouver’s history! 900,000 more hours of new bus service on 75 different routes. Two new B-Lines in Richmond and Surrey (In addition to five new B-Lines being rolled out by 2019 as part of Phase One). Extension of the Millennium Line with six new stations along Broadway from VCC-Clark to Arbutus Street in Vancouver. 40% increase to service on Expo and Millennium lines. 203 new SkyTrain cars (108 new, 95 replacement) for Expo and Millennium lines. Increased Canada Line service during rush hours, evenings, and weekends starting in 2020. Construction of Surrey-Newton-Guildford LRT Line along 104 Avenue, City Parkway and King George Boulevard. 247,000 additional HandyDART trips per year by 2021. Project development and potential early works for the Surrey-Langley Line. Planning for a potential Burnaby Mountain Gondola. Planning for rapid transit to UBC Point Grey campus. To learn more, visit tenyearvision.translink.ca or read the media release! Can you guys cancel the Light Rail project already? The only people who actually want this LRT are people who will never use it on a daily basis. There is nothing wrong with the 96 B-Line as it currently runs 1/3 of the peak frequency of the 99 B-Line and has a lot of room to increase frequency and capacity. You guys are clearly ignoring the overwhelming opposition that this project has compared to the other major projects in the Phase 2 plan because there was never enough public consultation on this project to begin with. The people want BRT and/or RRT (SkyTrain), not LRT. Love it! Except for the LRT plans. At the very VERY least, SkyTrain should be the plan for an extension to Langley (NOT LRT!). Great except for the LRT in Surrey. It’s a complete waste of money. The City of Surrey has been doing a lot of public interaction regarding LRT. I have a feeling that there is support for it. Surrey says that Translink supports the project as good value for the money. Personally, I am still a bit sceptical of it all. I really hope that the province can step in and veto it before any contracts are signed. To be fair, the capacity King George will need with LRT was only fast tracked; the original recommendation was to build Skytrain to Langley first, after which something higher capacity than street level BRT would be needed (unless wanting to increase bus service beyobd the recommended frequency, which would only slow transit service down on King George) – this is what the evaluation report showed when first recommending the Skytrain extension to Langley. So instead the LRT for King George is first, before the “rapid transit” line to Langley, which still could be Skytrain. How can there be 203 SkyTrain cars in the plan? That does not divide evenly by four, which is the new standard size with the Mark III sets. Presumably, the 203 figure includes the 56 that have already been ordered. Is that correct? Ian, the uneven number comes from the amount of replacement cars. I assume that a train will have 2 cars that will properly be paired together, but not visually match up perfectly. PLEASE BRING BACK THE “RUPERT STREET” STOP FOR THE NEW 41ST AVENUE B-LINE COMING SOON!!!!!! IN RECENT 43 ROUTE CHANGE YOU ADDED THE RUPERT STREET STOP TO THE 43 ROUTE. PLEASE BRING BACK THE STOP FOR THE 41ST AVENUE B-LINE!!! !